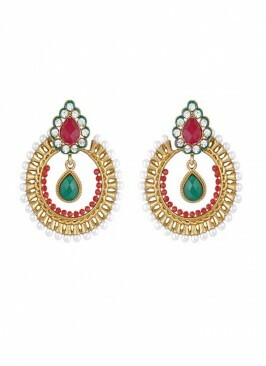 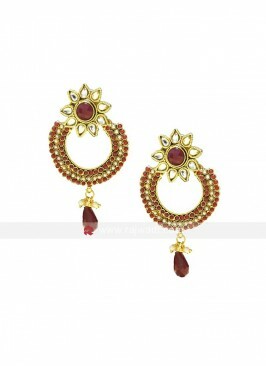 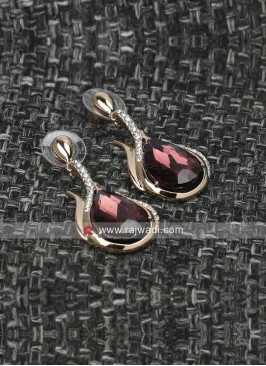 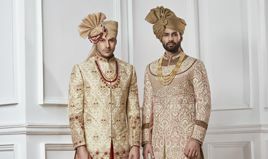 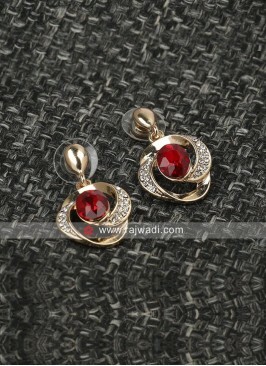 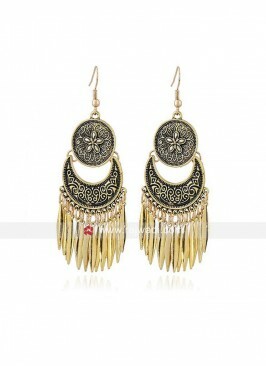 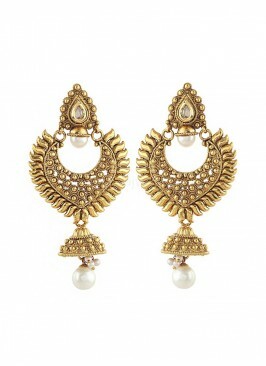 Stay high on the fashion by donning these gold plated Alloy Chandbali Earrings. 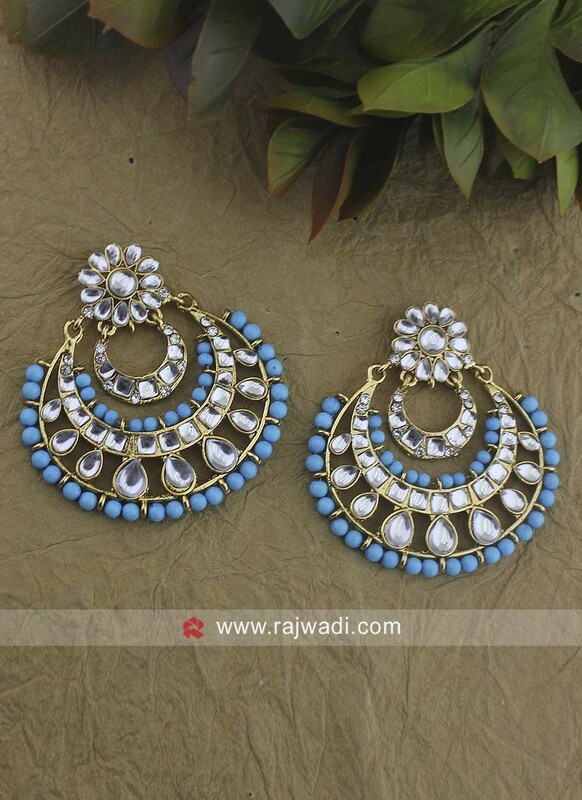 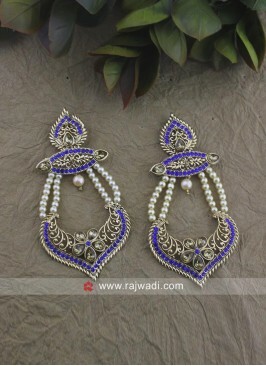 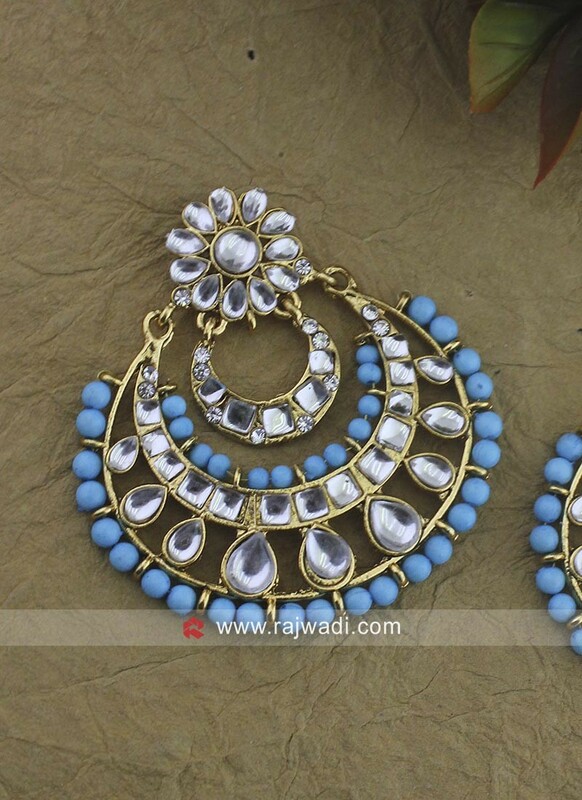 These pair of earrings adorned with kundan and sky blue pearl work. 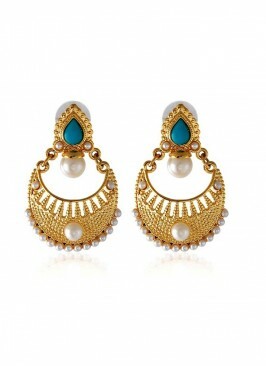 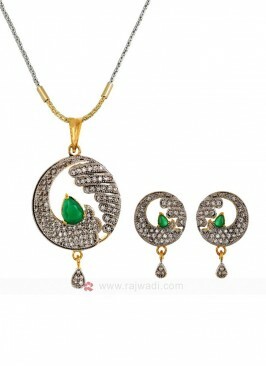 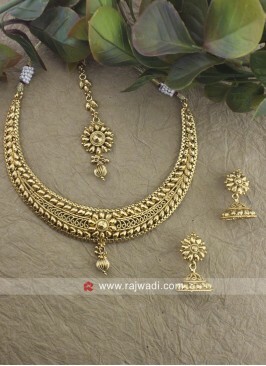 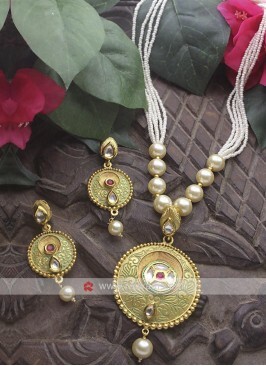 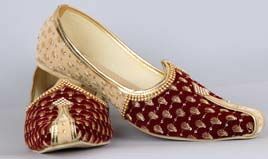 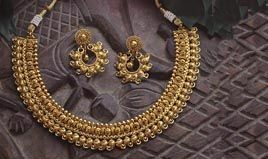 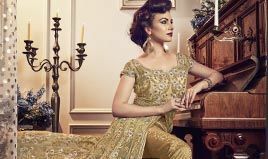 Gold Plated Pearl Drop Ea.. 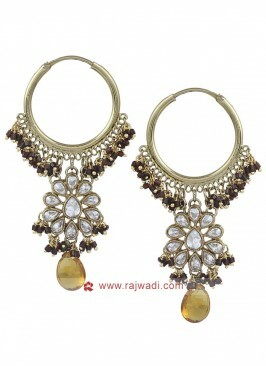 Designer Gold Toned Hoop ..